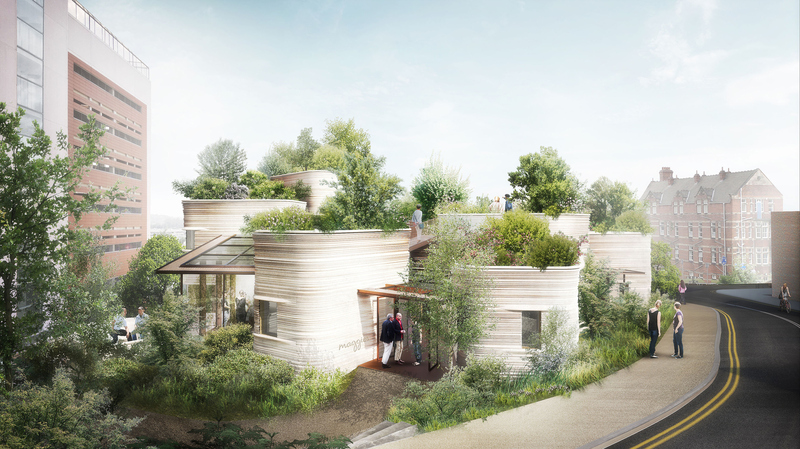 A new Maggie's Centre designed by Heatherwick Studio in Yorkshire has now been granted planning permission. 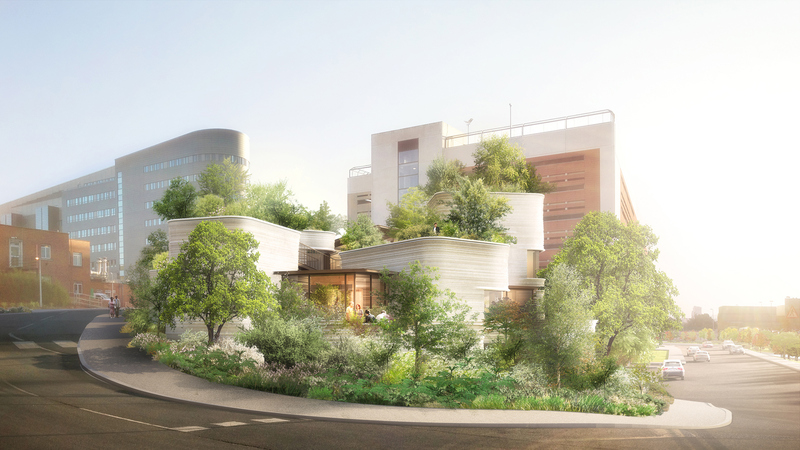 Following designs revealed in June 2015, the new cancer centre will resemble a cluster of giant pot plants to enhance the therapeutic effects of surrounding greenery. Maggie's Centres are a charity that provides a free drop-in service to support those affected by cancer. The centre will be hosted on the grounds of St James's University Hospital in Leeds and is set to open in 2017. Heatherwick Studio has woven greenery into the building and surrounding areas (with award-winning landscape designers Marie-Louise Agius and Michael Balston of Balston Agius) to detract from the neighbouring hospital, elevating the area. Plants are recognised as embodying a therapeutic effect on patients. The Leeds centre will be one of the largest, however Heatherwick Studio was determined to ensure it continued with a domestic vibe as per the brief and create an uplifting atmosphere. The design reflects a series of oversized pot plants of varying proportions - planters - that allow plants to travel over the building and into the gardens between them. The Centre will contribute to the support already offered by Leeds Cancer Support at the Sir Robert Ogden Macmillan Centre with Maggie's evidence-based core programme. The Leeds Cancer Centre provides specialist cancer services to a population of around 2.7 million people across the Yorkshire region. 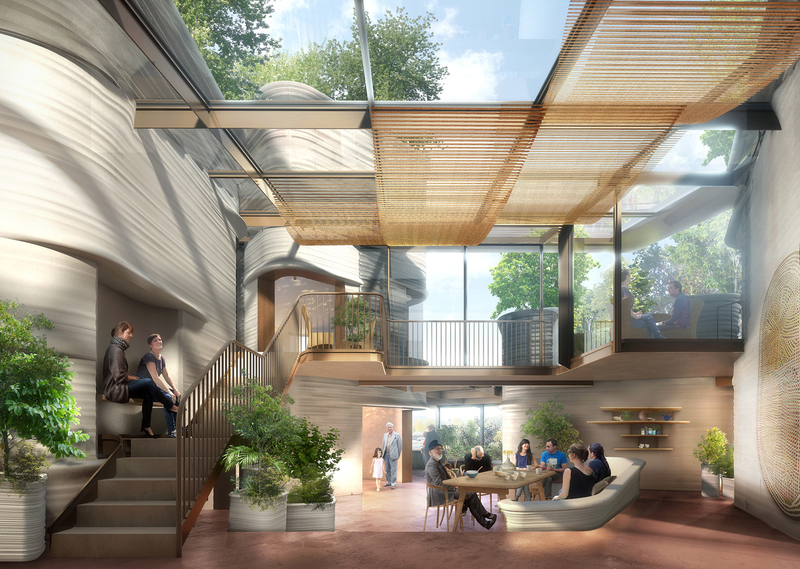 Maggie's was founded in by Maggie Keswick Jencks and her husband, architecture theorist Charles Jencks, to provide emotional, practical and social support to cancer patients and their friends and family. There are now 18 centres across the UK and each designer has received the same brief - to provide patients and workers with a calming and supportive environment.